Why Denmark Your Immigration Destination??? Denmark is located in Northern Europe. Among the Scandinavian countries Denmark is the smallest country. Denmark has become the destination of choice for most of the immigrants due to the simple immigration policies which are based mainly on the points based system. 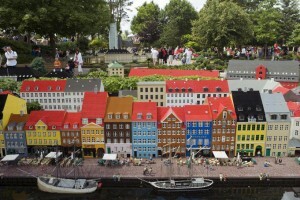 In the year 2010, Denmark was chosen as the happiest country in the world. Every year, Denmark allows thousands of immigrants from all over the world. People choose Denmark not only as the destination for tourism but also for full time studies, work & to settle permanently. Danish Green Card is the most popular route for Denmark Immigration which later allows you to apply for Denmark PR. If you choose Denmark for immigration then there are many excellent job opportunities waiting for you. It is always advised to check the occupation list in demand before applying for the visa. Since ancient times, Denmark is known for its standard education system. In that period no other country was able to provide good education except Denmark. Denmark provides multiple choice course studies for national & international students. Most of the foreign students come to Denmark to pursue full time studies. Denmark permits student visas to overseas students on fulfilling the requirements and documentation. People of Denmark are very friendly. No partiality or discrimination is done between men & women, minorities & superiority. Denmark is the most favorable place to live with positive environment. Government of Denmark provides high security to the lives of Denmark Citizens. Health care services, Education & child care services are offered for almost free to the citizens. The charges for these services are paid through tax. Rate of corruption is least in Denmark compared to other countries. If you want to carry your loving pet with you to Denmark then no need to worry, Denmark allows pet immigration but there is a different immigration process for pets. You need to fulfill the required paper work and other requirements of pet immigration process and you will be allowed to take your lovely pet with you.